The archival turn in modernist studies has been closely intertwined with the publication of private correspondence. From the complicated saga of the T.S. Eliot correspondence editions to the recently completed Letters of Samuel Beckett, the publication of letters continues to bring new insight into the relationships, creative networks and compositional practices of literary modernists. The next decade will bring new editions of letters by authors including Dorothy Richardson, James Joyce and Wyndham Lewis, as well as innovative digital publications such as the Modernist Archives Publishing Project. Published correspondence is shaped by an editorial process that involves selection, annotation, transcription and ethical concerns. Editors are faced with numerous questions: Which letters shed light on the author’s work? Can some letters be read as creative texts? Will a critical apparatus elucidate or stifle? How best to present fragments and lacunae? In answering these questions the editor plays both a practical and an interpretative role, all the while engaged in a game of diplomacy with publishing houses and literary estates. Their choices alter biographical narratives and direct the flow of future scholarship. This one day workshop seeks to bring together students and scholars with interests in archival research and textual editing, focusing on the theme of editing modernist letters. It opens up the questions and challenges of the editorial process through a combination of hands-on workshop sessions and keynote papers, culminating in a roundtable discussion. The workshop is supported by the Samuel Beckett Research Centre. Joanne Winning (Birkbeck, University of London) is editing Dorothy Richardson’s letters as part of the Richardson Editions Project. There has been a resurgence of interest in Richardson as a pioneering modernist writer, and this AHRC funded project will produce ten volumes of scholarly editions of her letters and fiction. Nicola Wilson (University of Reading) is a specialist in publishing history and print culture, and a member of the Modernist Archives Publishing Project team. MAPP is an innovative digital resource that includes the archives of publishing houses such as the Hogarth Press and Chatto & Windus. William Brockman (Penn State University) is part of editorial team for the forthcoming OUP editions of James Joyce’s unpublished letters. His workshop session will include will include hands on group work using facsimile copies of several Joyce letters. 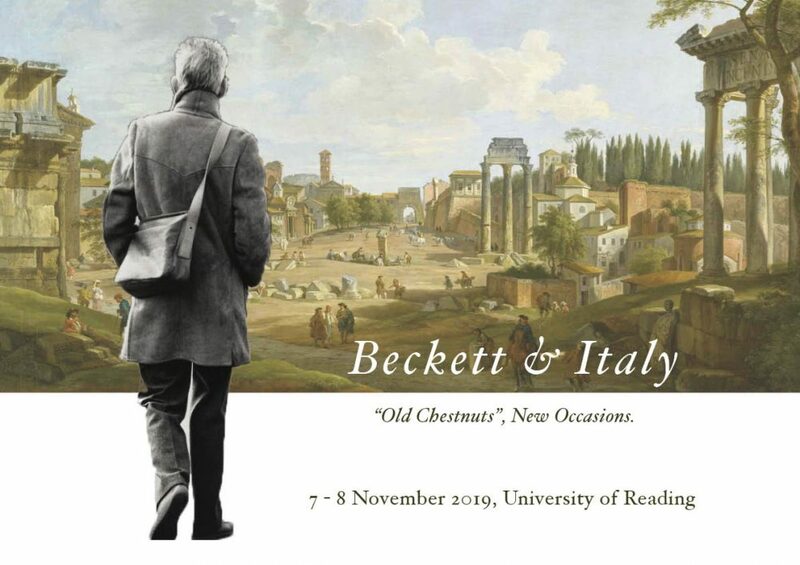 Mark Nixon (University of Reading) is director of the Beckett International Foundation and editor of the forthcoming edition of Beckett’s German Diaries. His workshop session will focus on a selection of Beckett’s letters from the Beckett archive at Reading. This entry was posted in Uncategorized by barpgroup. Bookmark the permalink.